Hi Peeps, life got in the way so this post is later then I intended. I will also cut one of the Double Z cards shortly and post it for you to see. 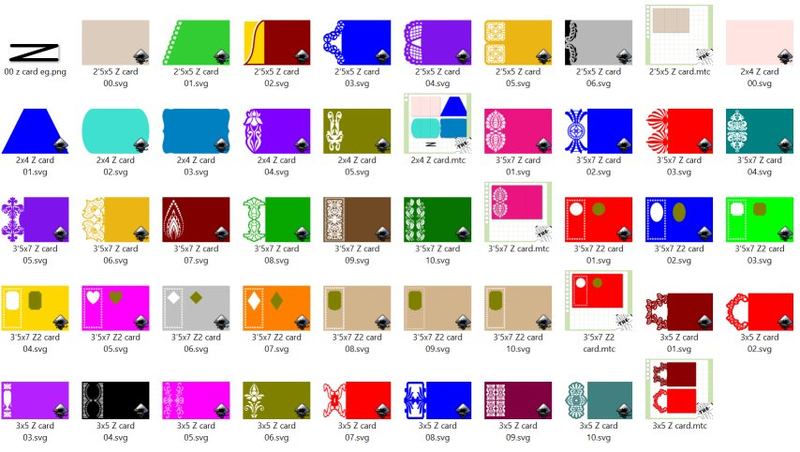 Here are the screen shots of the files of 'Double Z' cards and the 'Z' cards. You will find them in the folder cards-env under the above names. The link to Archimedes is below in my signature. These are beautiful, thanks so much!